On June 7, 2013, the U.S. Court of Appeals for the Seventh Circuit upheld the Midcontinent Independent System Operator, Inc.’s (MISO) region-wide cost allocation for new multi-value transmission projects (MVPs). Illinois Commerce Commission v. FERC, Case Nos. 11-3421 et al. Writing for the court, Judge Richard Posner rejected challenges to the Federal Energy Regulatory Commission’s (FERC) orders accepting the MISO-wide allocation of MVP costs to load, including arguments that MVP charges were not distributed commensurate with expected benefits and arguments that generators should bear a share of the costs. In reaching this decision, the court questioned the constitutionality of state renewable portfolio standards that treat in-state and out-of-state renewable generation differently. On one issue, the court disagreed with FERC. The court vacated and remanded FERC’s disapproval of MISO’s proposal to allocate a share of MVP costs to power exported to neighboring PJM. 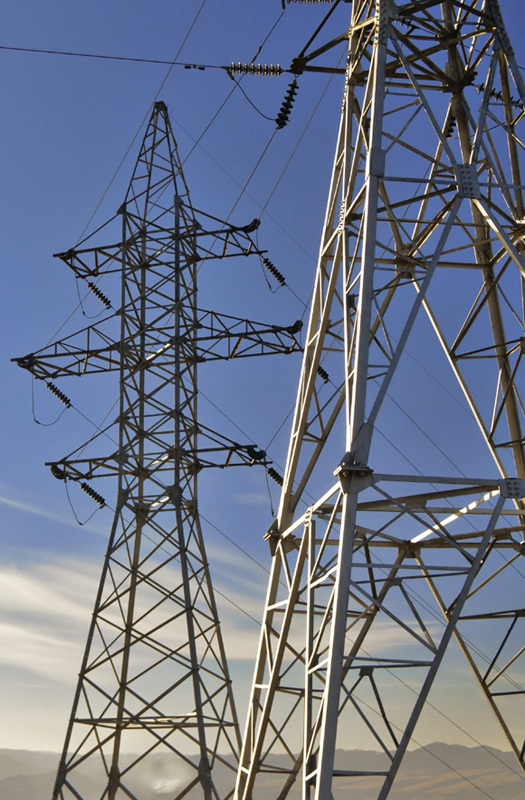 In 2010, MISO filed, and FERC accepted, proposed revisions to its transmission tariff to implement region-wide cost allocation for a category of transmission projects called MVPs. MVPs are those projects approved through MISO’s regional transmission planning process that will operate above 100 kV, cost more than $20 million, and serve more than one of the following goals: support of state or federal procurement requirements for specific types of energy (e.g., renewable energy), alleviate congestion, or prevent projected transmission reliability issues. MISO proposed to recover MVP project costs from all MISO load-serving utilities on a consumption-weighted basis. MISO also proposed to allocate a share of MVP costs to exports from MISO to adjacent markets. FERC generally accepted the MVP proposal, but rejected the proposal to allocate MVP costs to exports to PJM as inconsistent with a 2003 order prohibiting MISO and PJM from unilaterally imposing export charges for power transmitted from one RTO to the other (see Midwest Indep. Transmission Sys. Operator, Inc., 104 FERC ¶ 61,105 (2003)). Numerous utilities and public utility commissions challenged FERC’s orders accepting MISO’s MVP proposal. The court rejected the Petitioners’ argument that generators, particularly wind generators in the western part of MISO, should be allocated a portion of the MVP costs because they benefit from the construction of MVPs through the reduction of interconnection costs. It upheld FERC’s decision to allocate MVP costs exclusively to load, reasoning that such purportedly higher generator interconnection costs would be passed to wholesale power customers through higher power prices, and thus the argument had little weight. In 2003, FERC prohibited MISO from imposing export charges on transmission of wholesale power from MISO into PJM, and instead directed the two RTOs to develop a joint rate for export transactions. This approach sought to eliminate transmission charge pancakes for cross border transmission that were prevalent due to the irregular MISO-PJM border, and the existence of PJM enclaves within the MISO footprint. FERC rejected MISO’s proposal to allocate MVP costs to exports to PJM as inconsistent with this 2003 order. In its appeal of the MVP Order to the Seventh Circuit, MISO argued that FERC should have permitted MISO to allocate a share of MVP charges to transmissions originating in MISO and sinking in PJM. The court vacated and remanded this part of FERC’s order, noting that there has been a reduction in MISO-PJM border irregularities and enclaves since 2003, and in any event, proportionality requires that all MVP beneficiaries pay, which includes PJM customers that use the MISO system to export wholesale power. The court directed FERC on remand to determine what if any limitation on export pricing to PJM by MISO is justified in light of current conditions. This decision suggests that the courts will be quite deferential in reviewing FERC decisions on whether cost allocation methodologies satisfy the requirement that costs be allocated in a manner that is “roughly commensurate” with benefits, as articulated by the Seventh Circuit’s earlier ICC v. FERC case (Illinois Commerce Commission v. FERC, 576 F.3d 470 (7th Cir. 2009)). Indeed, the decision notes that even a “crude” attempt to match the costs with the benefits will suffice where benefits to individual beneficiaries cannot be precisely quantified. Parties wishing to challenge regional cost allocation methodologies will likely need to present quantitative evidence that there is a significant imbalance between costs and benefits to a specific beneficiary in order to obtain judicial relief. The opinion’s conclusion that the Michigan RPS statute’s discrimination against out-of-state renewable generation violates constitutional principles already has provoked discussion about the validity of the statutes or regulations of other states that favor in-state renewable generation. The opinion’s summary approach to this issue, as well as the fact that the issue was not addressed in either the briefs or oral argument, makes it likely that this holding will be contested as the issue is addressed in other states—or even in Michigan. For additional information, please contact David Yaffe, Doug Smith, or any member of the firm’s Electric Practice at (202) 298–1800 in Washington, D.C. or in Seattle at (206) 623–9372.